The classic donuts-and-coffee pairing can be so much more than the local precinct's favorite snack. One school of thought: Find coffee; find donut; consume. Another: If you’re going to put them together, you might as well do it right. According to Steve Kirbach, the head roaster at Stumptown Coffee, there is, in fact, a way to do the time-tested combination one better. The rule to follow? Never compare the perceived with the actual. So: Taste notes of blueberry in your coffee? (Or did a good-looking barista tell you you would and you nodded emphatically?) Don’t pair that with an actual blueberry, or, if you were me or Leslie this morning, a blueberry-flavored donut from Blue Star. In general, fruitier, brighter coffees (look for Ethiopian or other African beans) have the acid necessary to help balance the richness in the bacon donut you may have just eaten from Pip’s. Or the maple one you just consumed from Delicious Donuts. If you have something really sweet on your hands—say, the crème brûlée donut you just bit through the crackly top of—look for Latin American coffees, says Kirbach. Generally, they’ll have smoother, more mellow characteristics that vibe better with the quarter-pound of sugar you just consumed. 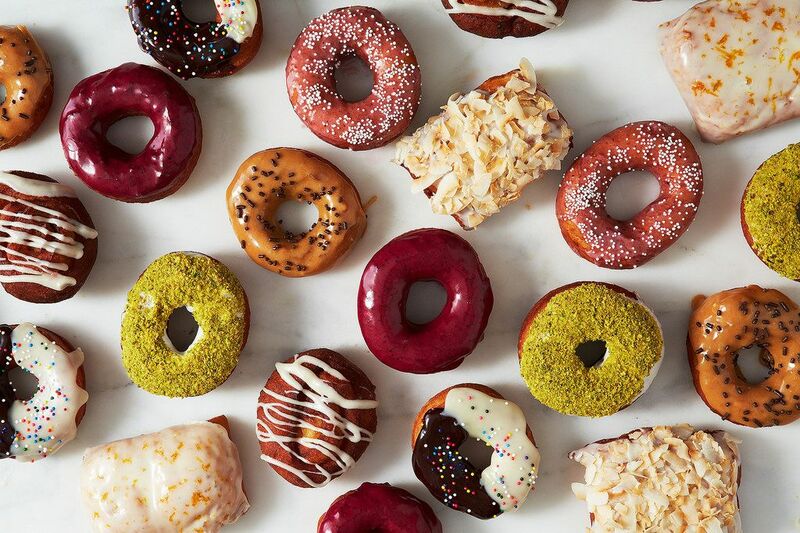 Throw your donut and coffee wisdom in the comments, and check back on the site or at @kenziwilbur or @butterandsaltblog to follow Kenzi and Leslie as they eat their ways around Portland for Feast. These donuts look absolutely amazing! Where are they from?